Kumbakarai Waterfalls Periyakulam: An Ideal Trekking Spot! It was not in our plan to include something adventure this time! But whenever it comes it a holiday, we skip the plan and this year too it happened. It just took 2 days to visit all the temples in and around Madurai and we had two more days left. Why not try something adventure, stuck our mind. Kodaikanal was very near to the city and a popular hill station, but with just 2 days in hand, it is not possible to reach that place and see all the scenic spots. 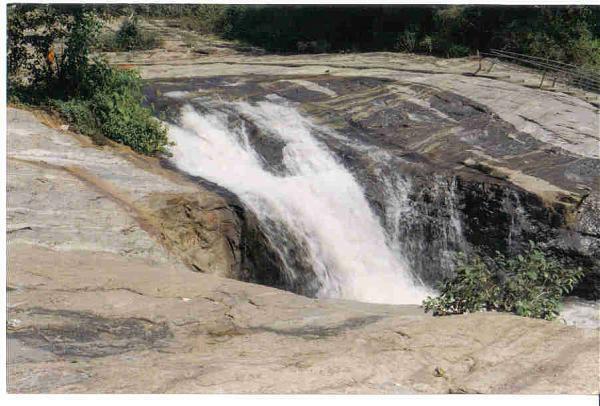 Google is always our best friend and that how we got to know about the Kumbakarai Waterfalls Periyakulam. A stay near a boys’ college was worthwhile and as I am an insurance agent, it don’t mind talking to strangers and I am actually used to do that always! This is the reason my friends were relying on me to enquire about this place and those guys were kind enough to explain about the trekking involved in that falls. So after a trek, we got another day to rest and leave back to the place where we started our voyage! At first, it was quite thrilling to know there are snakes, gaurs and tigers near the falls that are always ready to attack whenever they smell the human existence in that area. They convinced us that it was a just an information given to every trekker. The good news was until today no people were attacked by the animals in that area! So this was the right moment and motivation for us to being exploring the falls. We saw a group of gaurs and they even stared at us, we were fortunate they were not in a mood to attack us, they were busy eating! We finally arrived at the falls after a 3 hour trek. Thank god it was not monsoon, else the fierce water currents might not allowed us to take such a wonderful bath. We were fascinated to see another crowd and came to know that this is one of the dangerous waterfalls! The best part was, they told us only after we came out from the 400 feet waterfalls. This entry was posted in Adventure, Travel, Wildlife. Bookmark the permalink.